Flooding in England continues as heavy rainfall has caused flooding in South Cumbria. Train services in Barrow, Whitehaven and Carlisle, and Barrow through to Preston and Lancaster have been affected. A flood alert was also issued for Upper Derwent, from Seathwaite to Derwentwater. Public transport has been affected near Barrow and Ulverston in Cumbria. Water spout [or sea tornado] seen at Batemans Bay, in New South Wales, Australia on Sunday. More than 2 000 people were evacuated as relentless rains brought floods to eight towns in three provinces in southern Mindanao, in the Philippines. Two children were reported dead in the floods, which hit the provinces of Davao del Norte, Compostela Valley and Davao Oriental. The US Pacific Northwest is hit by a fierce storm bringing heavy rains and strong winds which swamped streets, toppled trees and large trucks, cutting power to nearly 50,000 homes. Flash flood in Bahrain after Heavy rainfall caused flooding in Isa Town, Sanabis, Manama and Riffa regions of Bahrain. 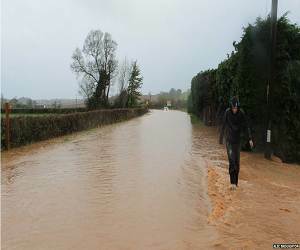 Heavy rain continues to cause floods in the Midlands and South West of England. The British Environment Agency has issued 74 flood warnings in the South West and the Midlands and 113 flood alerts across the rest of the country. The villages of Yealmpton and Tamerton Foliot in Devon are worst hit. Schools have been closed in Worcestershire, Devon and Gloucestershire. Flooding at Tiverton Parkway and Birmingham New Street disrupted rail services in Gloucester, Bristol Temple Meads, Taunton, Yeovil, Exeter, Birmingham International, Coventry, Great Malvern and Hereford. Bus services in both Bristol and Somerset were also either cancelled or diverted. Heavy rainfall caused flooding around Rugby area. Two people were injured in Pailton. Following Warwickshire Police, Lawford road near Church Lawford has completely flooded. Mudslide also reported in Barby Lane near Rugby. Heavy rain causes flooding and road disruption in Scotland. Some train services out of Glasgow have been closed. 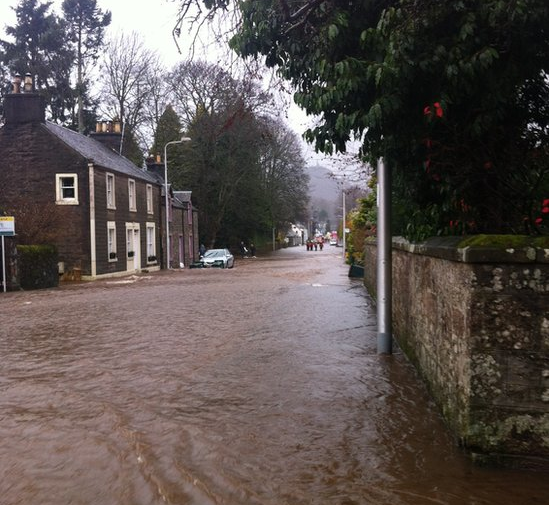 The River Cree burst its banks and the flooding in Newton Stewart is the worst in 50 years. 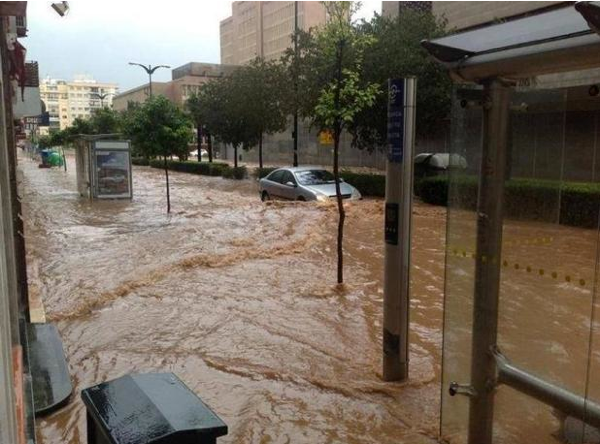 State of emergency declared in southern Spain after flash floods hit the Andalucía region. Worst hit by the disaster were the provinces of Valencia, Extremadura and Asturias. Malaga, on the Costa del Sol, Spain, received almost five inches 5 inches of rain from midnight to midday Saturday, flooding the regional capital. Torrents of water plunged rapidly downhill through the streets of the city with the main shopping quarter chest-deep in muddy water. 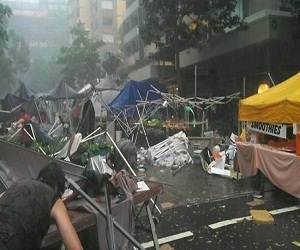 Monster storm hits Queensland, Australia causing heavy damage. More than 4000 lightning strikes within 80km of Brisbane were reported in one hour. Brisbane, Redlands, North Stradbroke and parts of the Gold Coast Logan and Moreton Bay were worst affected by the storm. Flash floods have washed away the rice harvest of some 2,000 farmers in western Kenya, flooding some of their homes and sending latrine effluent into water courses, which provide drinking water to many communities. Cyclone damages more than 100 houses in Jepara, Central Java, Indonesia. No casualties reported. Floods caused havoc across Uganda. Worst affected is the Nagaseke District. Tuscany, Italy is badly hit by a third day of flooding after unusually heavy downpours. 800 people were evacuated from their homes in the village of Albinia, thousands left without electricity and several towns isolated by swamped roads. The main A-1 highway was closed in parts of the region. The Tiber river burst its banks north of Rome as heavy rain moved south, flooding factories and homes near the ancient town of Orte. One killed after flooding in 14 low-lying villages in Sultan Kudarat, Maguindanao area of the Philippines. Heavy rainfall caused flash flooding in the Serengeti District of Tanzania. 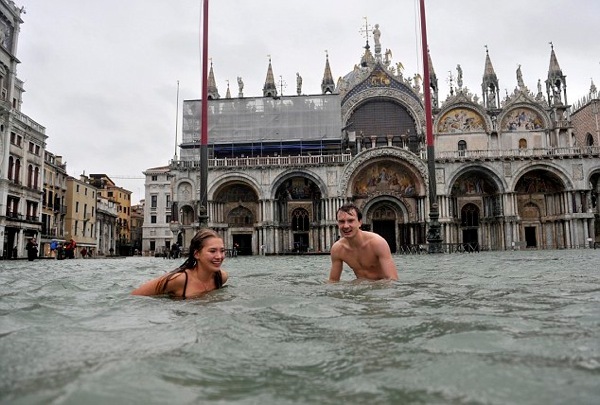 Seventy per cent of central Venice was under water yesterday after rainfall and seas whipped up by strong winds brought the Italian city’s high tide mark to its sixth-highest level since records began in 1872. Floods also occurred throughout Tuscany. Heavy rainfall caused flash flooding in Epworth on the Burin Peninsula, Canada. A bridge and the main road were washed away. Two weak tornadoes touched down in Minnesota, USA, late Saturday. It is extremely rare for tornadoes to develop in Minnesota in November. Flooding in Cape Haitien city on Haiti killed 16 people. Haitian police patrols found a number of bodies in the streets. Four members of the same family were found dead by rescue workers. 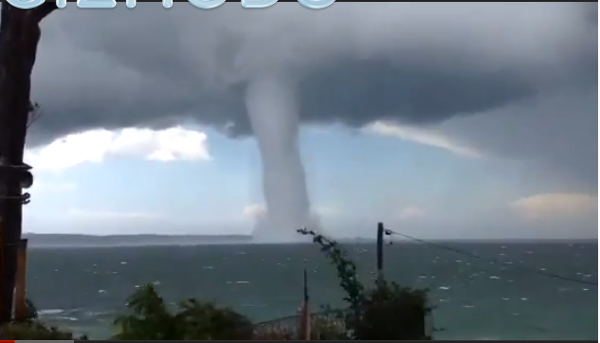 A tornado touched down in Hobart, Tasmania. At least 10 people have died and another 20 have gone missing in floods that inundated the Indonesian island of Celebes over the past few days. Flash flood has affected more than 17,000 people in Orientale province in the northeast of the Democratic Republic of Congo. Snow storms in Edmonton, Alberta, Canada killed one and injured other 12. Landslide in Zamfara, Nigeria kills 9. The tragedy occurred when miners were digging up gold at the water-logged informal mining sites in the area. Floods force hundreds of people to evacuate their homes in Croatia and neighbouring Slovenia. Surprise snow and heavy rainfall over the weekend have led to flash flooding in some areas of southern England. A tornado hit La Marque, Texas, USA, causing damage to the local fire station. 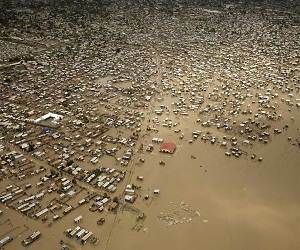 Nigeria’s worst flooding in at least half a century has killed 363 people since the start of July and displaced 2.1 million people, the Nigerian emergency agency has reported. Nigeria often suffers seasonal flash floods after heavy tropical rain, but the sheer scale of the devastation this year has shocked people and images of towns and cities under water have filled TV screens. Heavy snowstorms swept across northern China over the weekend, with the most extreme weather hitting Beijing, Hebei and the Inner Mongolia region. Three elderly Japanese tourists died after being trapped in sudden heavy snowstorms during a visit to the Great Wall of China. 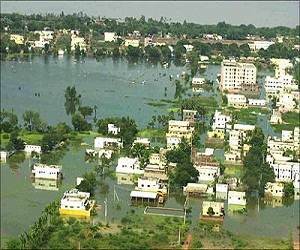 At least 22 people have been killed by heavy rains in the Indian state of Andhra Pradesh. More than 1,500 houses have been damaged and thousands of people living in low-lying areas in the affected districts have been moved to 86 relief camps. Rail and road traffic also also been hit as flood waters inundated railway tracks and highways. 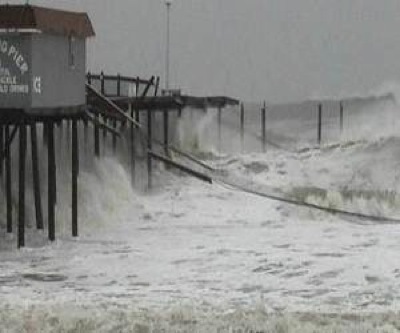 The US East Coast is still facing challenges trying to recover from last week’s Superstorm Sandy. A new storm system is expected to bring fresh downpours to already flooded areas by Wednesday and thousands of displaced victims will be in urgent need of temporary accommodation in shelters as extremely cold weather is also on the way. Initial damage questimates suggest that the cost of Sandy may be in excess of $70 billion, approaching Hurricane Katrina’s cost of $100 billion.